While green roofs are seen as being great for biodiversity, adding habitat to what would otherwise be a bare roof, they can be harsh environments with high winds and extremes of temperature that make them vulnerable to drought. Because they are high, they can also be inaccessible to species that can't fly, in particular soil organisms which are crucial for nutrient cycling and sustainable plant growth. Yet previous research shows that these species do live on roofs. So how do they get there? The study, by Dr Heather Rumble, Senior Lecturer in Environmental Geography at the University of Portsmouth and Dr Paul Finch and Professor Alan Gange from Royal Holloway, University of London, aimed to find out whether soil organisms, such as mites, springtails (tiny insect-like creatures), bacteria and fungi are introduced to green roofs in their building materials or arrive on a green roof via other mechanisms, like travelling on birds or in "aerial plankton" (tiny creatures riding air currents). They monitored a new green roof constructed within the grounds of Royal Holloway from September 2011 to July 2012. Soil micro-organisms living in the construction materials (substrates and plant plugs) were monitored to see if they would colonise the green roof. Dr Rumble said: "We found that while there was a healthy soil community in construction materials, most species died off soon after the roof was constructed due to the harsh conditions. This means that green roof soil species must arrive via another mechanism, such as by hitching lifts on birds or by coming in the aerial plankton." The researchers provide two important recommendations from the study. The first is that engineering soils for green roofs needs more work to ensure that not only the physical aspects (like the soil structure) are right, but also that the biology is right. Ensuring soil biology is adapted to green roofs from the start could make green roofs more sustainable. Dr Rumble said: "This is important, because as a completely man-made environment, getting the soil community right in the construction materials could ensure that the roof is sustainable in the long term." 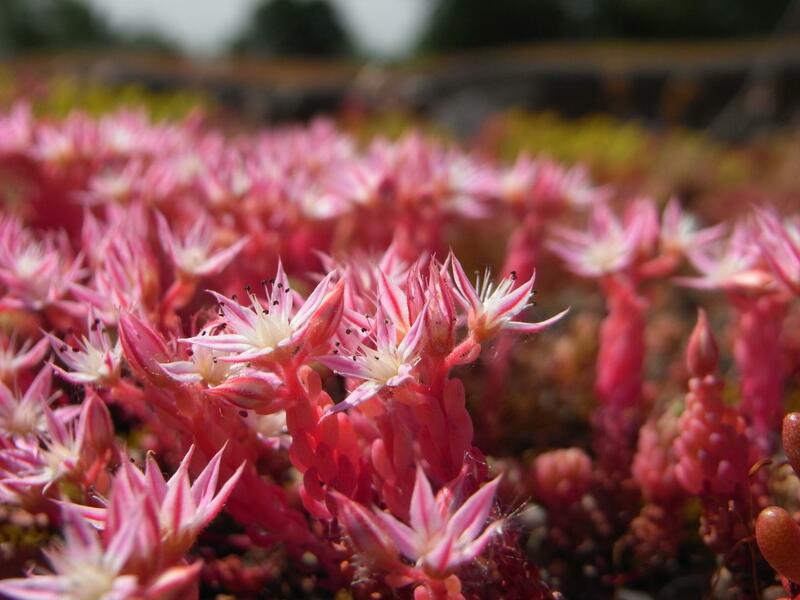 The second recommendation is that, because at the moment most species are getting to the roof under their own steam, more research is needed to help this, perhaps by combining green roofs and living walls to ensure green roofs are connected to ground level soils. The research, published in the journal Applied Soil Ecology, was funded by the Natural Environment Research Council.